Categories: Adi Shankara, Ashada Ekadasi, Chaitanya Mahaprabhu, Guru Poornima, Jagannatha, Pandharpur, Panduranga, Puri, Rath Yatra, Sri Ramakrishna Paramahamsa. Ekadasi vrata (fast) is janma vrata (one to be adhered to throughout our lifetime). People follow several different fasts. Many ladies observe Ratha saptami vrata, which bestows auspiciousness. There are many fasts that are taken up with some material benefit in mind—to get through an examination, to get married, to secure a good job, etc. But among all the vratas, Ekadasi vrata is one that has to be followed by all without fail. The real purpose of the fast is to incessantly think and sing the glory of the Lord. It does not matter if one takes milk or fruit. The Sanskrit word for fasting is “upavasa”. This means being close (upa-near, vaasa-stay) to God. Hence Ekadasi upavasa means one should be in the thought of God the whole day. Vyasa Poornima, or Guru Poornima as it is also called, is a day when one pays his respects to the Guru. This day falls in the Indian month of Ashada (June-July) every year. Chaturmasya vrata (Four-month fast) begins from this day. For these four months, sanyasis (ascetics), who according to the shastras cannot stay in one place for more than three days, remain in one place so as to perform their spiritual practice without any interruption. However, this Chaturmasya vrata should be followed by all and is not meant only for the ascetics. It is meant for the householders as well. In the first month one should avoid taking curd, the second month milk, the third month vegetables and the fourth month pulses. Ashada Ekadasi, the ekadasi day during this month is a special one. It is on this day that the Rathotsav (Chariot festival) in Puri kshetra (a holy place in the Indian state of Orissa) comes to an end. On this day, the chariots of the sacred deities of Puri—Lord Jagannatha, Balabhadra and Subhadra—come to a standstill. When the chariots move around it seems as if the whole city moves. It is a magnificent sight! Only two kshetras are spoken of in the Vedas. One is Tirupati and the other is Puri. Puri is a kshetra that every mahatma yearns to visit. All mahatmas have established a branch of their mission here. 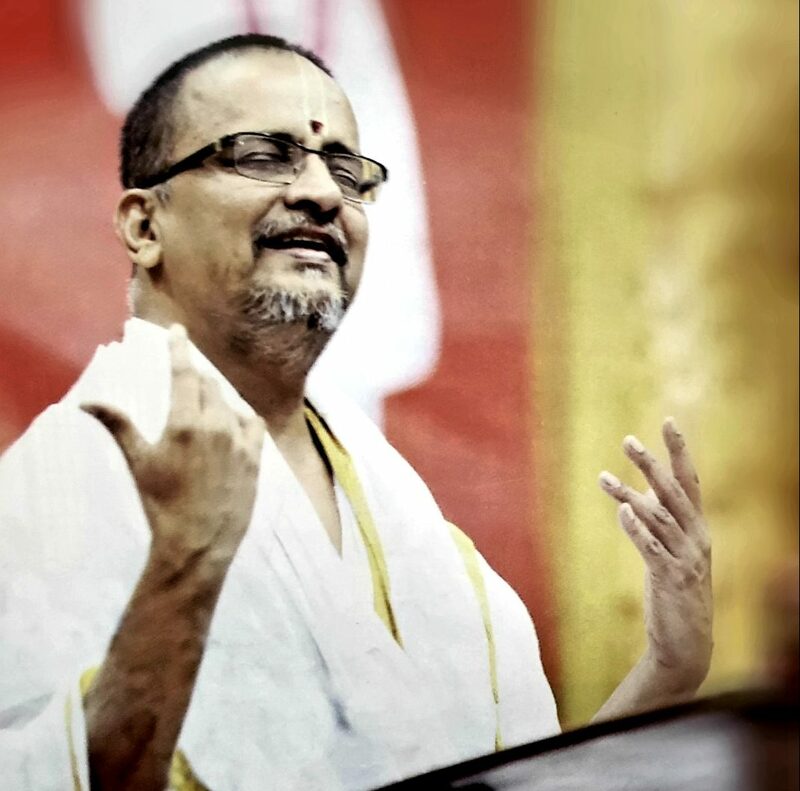 Adi Sankara has established a Mutt in Puri. Chaitanya Mahaprabhu lived for many years in this kshetra. Sri Ramakrishna Paramahamsa has visited this Jagannatha kshetra. Mahatmas have said that thirty-three crores of Devas, and all the Rishis are constantly circumambulating this kshetra. Three things are spoken of as being “Brahma-swaroopa”, the very personification of the Lord. One is the holy Ganga that flows from nothing other than toe of the Lord Himself. Another is the soil of Vrindavan, and the third is the prasad of Puri Temple. Our shastras say that it is a great sin to eat anything that has been eaten first by a cat. However, the same shastras proclaim that Puri prasad can be eaten even from the cat’s mouth. Such is the greatness of the prasad from this place! Ashada Ekadasi is a very special day also in Pandharpur in the state of Maharashtra that is the home of the great Lord Panduranga, the lover of Nama sankirtan. The town is filled with crores of devotees on this day. Devotees from nearby villages, holding a jhanda (flag) begin their journey towards Pandharpur by foot, a month earlier. All through the way they sing and dance while praising Lord Panduranga. 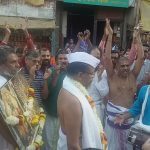 They reach Pandharpur on Ashada Ekadasi. Having darshan of Lord Panduranga on this day is considered very auspicious. Panduranga replied, “Don’t worry. I will stand atop the temple tower and give darshan!” And He does, to this day! In Pandharpur, we will find people come in simple clothing but filled with devotion for Panduranga. They embrace Panduranga with deep love. All of them sing and dance around without any shyness or feeling of embarrassment. Nama sankirtan is constantly performed by all devotees in Pandharpur. During this auspicious month of Ashada, let us all remember the greatness of singing the praises of the Lord and perform more and more Nama sankirtan, especially during these next four months of Chaturmasya.